Best supporting actor nominee Richard Jenkins has so much love for the film. In a recent interview on “Popcorn with Peter Travers,” Jenkins talked about watching the movie for the very first time. 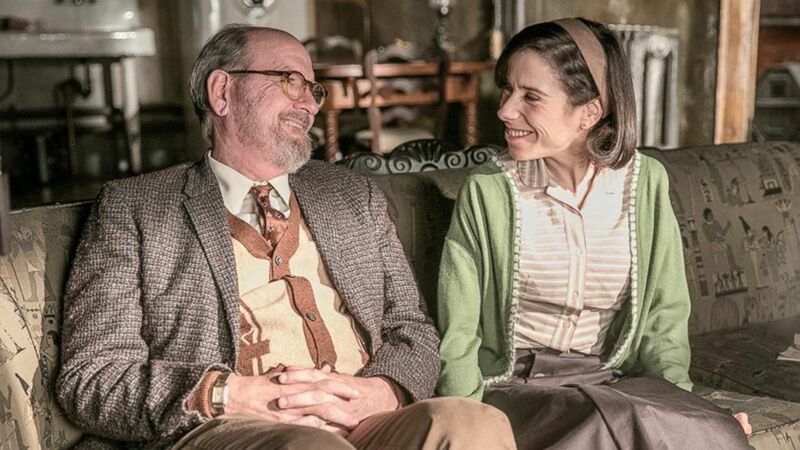 (Kerry Hayes) Richard Jenkins and Sally Hawkins in "The Shape of Water." The fantasy film, directed by Guillermo del Toro, was nominated for 13 Oscars. Richard Jenkins, who may take home the Oscar for best supporting actor on Sunday, plays Giles, an artist and best friend to a mute cleaning woman played by Sally Hawkins. Jenkins’ character attempts to help her free a mysterious creature from a government facility. And he said working with Hawkins was a bonus. “Ever since I saw 'Happy Go Lucky,' I wanted to work with Sally Hawkins. She’s fantastic in this movie,” he shared. 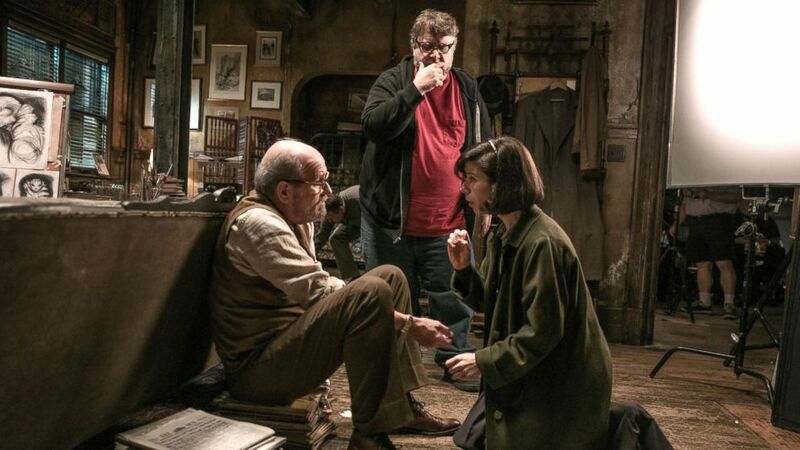 (Kerry Hayes) Richard Jenkins, Director Guillermo del Toro and Sally Hawkins on the set of "The Shape of Water." Jenkins said there were many “happy accidents” while shooting the film, and del Toro made them a part of the movie. “Things just happened on set that were really fun and interesting,” said Jenkins. “The Shape of Water” is in theaters everywhere. Be sure to watch the full interview with Peter Travers and Richard Jenkins in the video above. The 90th Academy Awards airs March 4 on ABC.